This Balsamic Heirloom Tomato Salad is a great summer salad to make as it can be quickly and easily made. The original recipe calls for green, yellow and red tomatoes. I used what I had (although it would be a lot prettier with the other colors). Wash the tomatoes and remove the stems. Slice tomatoes into halves, quarters or eighths depending on the size of the tomato. 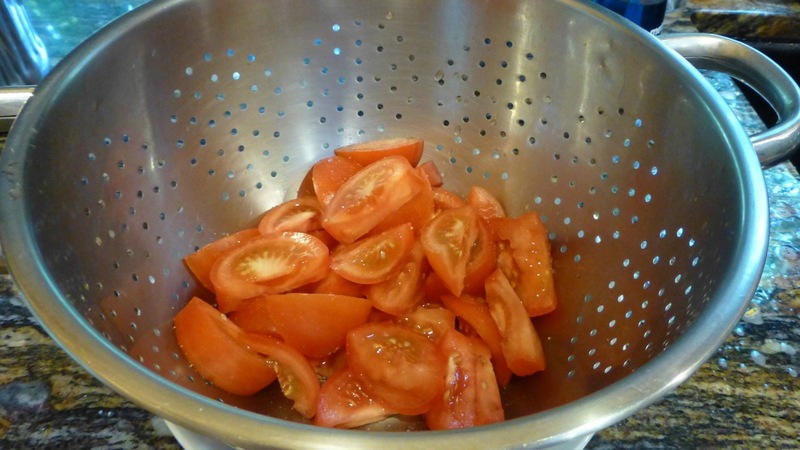 Toss the tomatoes into a colander that sits over a large bowl. In another bowl, combine the sliced green onions and garlic. In a measuring cup combine the balsamic vinegar, olive oil and oregano and whisk this together until blended. 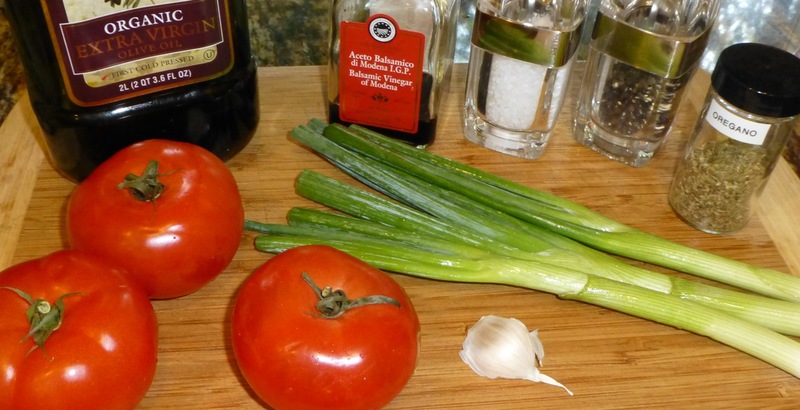 Put the tomatoes in a bowl then pour the balsamic mixture over the tomatoes. Toss, season with fresh black pepper and serve. Quite easy, eh? Yes, yes — easy and simple is always good.